Includes Four Years of Free Online Access to sortable ranking tables on the Grey House Online Platform, plus a link to this content can be added to your Salem Press landing page. This fourth edition compares all of the nation’s hospitals by 47 measures of quality in the treatment of heart attack, heart failure, pneumonia, surgical procedures, pregnancy care and, new to this edition, children’s asthma care, medical imaging and patient satisfaction. Each profile includes the raw percentage for that hospital, the state average, the US average and data on the top hospital. For easy access to contact information, each profile includes the hospitals address, phone and fax numbers, email and web addresses, type and accreditation along with 5 top key administrations. These profiles will allow the user to quickly identify the quality of the hospital and have the necessary information at their fingertips to make contact with that hospital. Plus, regional volumes make locating information about hospitals in your area quicker and easier than ever before. 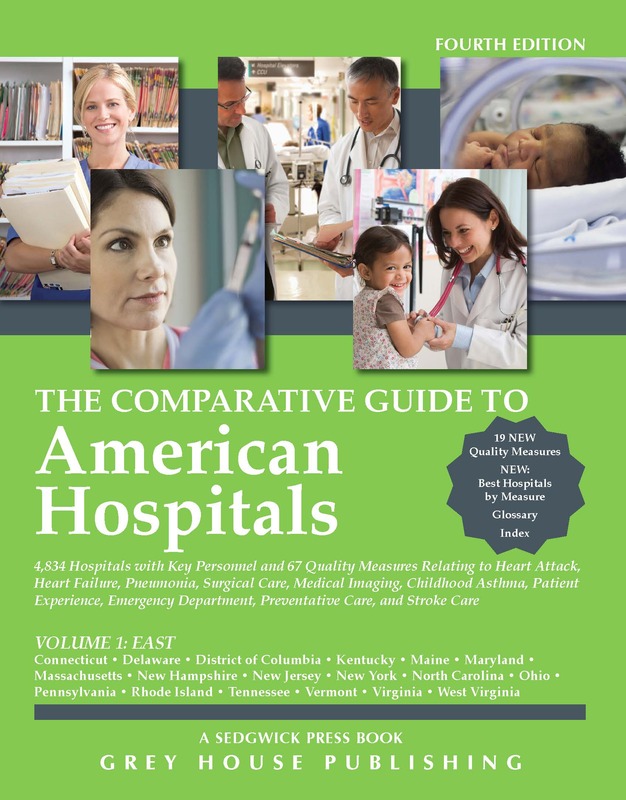 Most importantly, The Comparative Guide to American Hospitals provides an easy-to-use Regional State by State Statistical Summary Tables for each of the data elements to allow the user to quickly locate the hospitals with the best level of service. Plus, a 30-Day Mortality Chart, Glossary of Terms and Regional Hospital Profile Index make this a must-have source. This new, expanded edition will be a must for the reference collection at all public, medical and academic libraries. “ "this is the first directory of its kind"